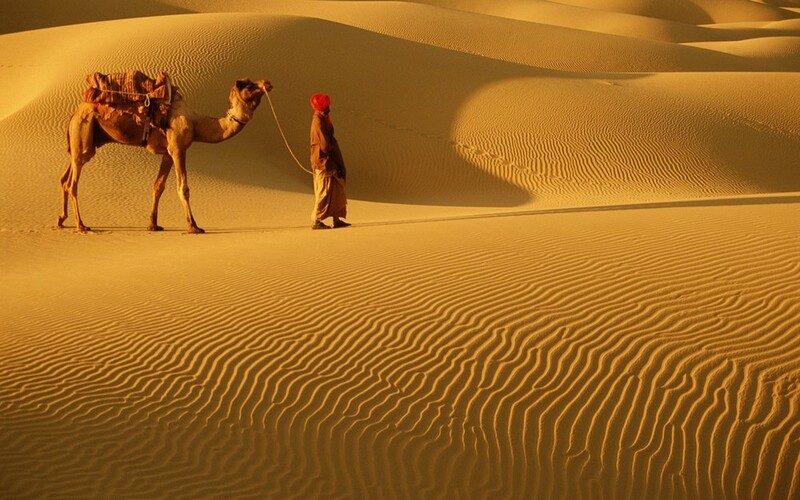 Damodra Desert Camp is a luxury desert camp in the Thar desert near Jaisalmer, India and the Sam sand dunes. Damodra Desert Camp organizes camel safaris ranging from short day trips to overnight or longer. Our team takes immense pleasure in showing you our special part of the desert. 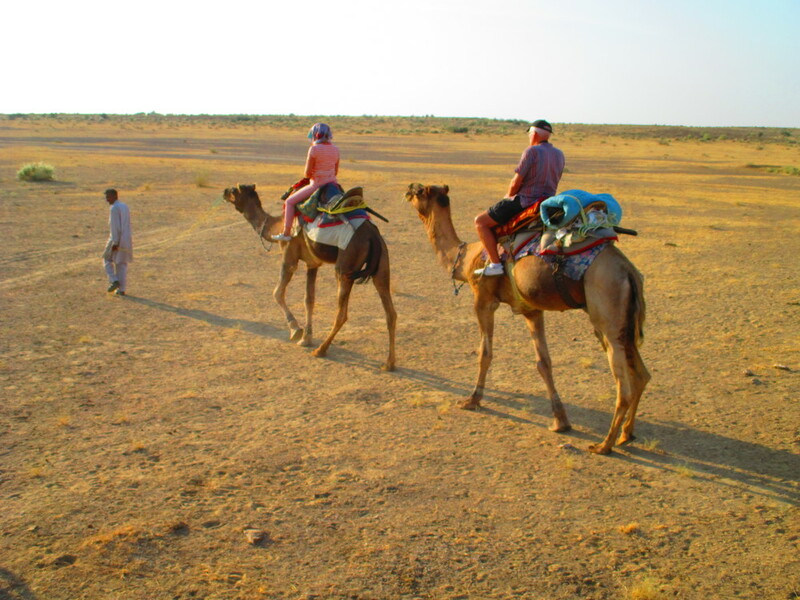 Our local camel guides will share their vast knowledge of the flora and fauna, and local culture of the Thar desert and it's communities. Please feel free to contact us to arrange a custom safari to suit your needs. Perhaps the most iconic symbol of the desert is the camel or dromedary and no trip to Rajasthan, short or long, is complete without a camel ride. Included in your package is an enjoyable camel ride away from other tourists to a small pristine area of sand dunes where you can enjoy unique views of the shimmering sand and watch as the sun sets over the desert. For the more adventurous, overnight or longer trips can be organised to suit your time and budget. Treading softly across the sands is a timeless way to journey, and will open your eyes to the real desert environment – the wildlife, the tenacious flora clinging to life with deep roots tapping into unseen water sources, the shifting, sighing sands; the sound of silence. Overnight under the stars will leave you with stunning memories of shooting stars and a Milky Way you will never forget. Our team takes immense pleasure in showing you our special part of India in an environmentally friendly way. By employing local camel drivers we can share our knowledge of the natural and cultural resources of Northern India with you. We also aim to distribute the benefits of tourism throughout the region, especially to the local rural communities. Click the video below to take a tour!